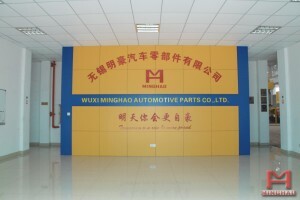 ﻿ Join Us - China Wuxi Minghao|China Wuxi Minghao Automotive Parts Co.,Ltd. High sense of responsibility, adhere to the struggle and continuous improvement of Minghao good employees is the most valuable resource. We care about each employee’s life and their own development, all kinds of technical training and quality training, provide a good welfare conditions and working environment, personal development and promotion of platform and growth opportunities, help employees to realize self value and success.